Motivation can be hard to come by. Sometimes your team needs a little extra push to make results happen. The foundation of all successful businesses is the efficiency of your employees. Motivate your team to collaborate more and increase efficiency by following these six strategies that will inspire your team to reach their goals. In most cases, a disconnect between you and your team can be the reason why you’re not seeing the progress you want. Start by having a face-to-face discussion with your team about the importance of the work they do and how it helps the business overall. Also, take some time to learn about what motivates your employees to do better work. Ask them detailed questions about what drives them to do their best and any long-term goals they may have. Plus, this will give your team the time to self-reflect and define their goals a little more. To make sure these goals come to fruition, focus on making S.M.A.R.T goals. Goals with set deadlines are more attainable and provide a little extra pressure to get the job done. A helpful way to remind your team of the company’s goals is to write them out and post them where everyone can see. The visual aid will remind your team of what they’re working toward and will make sure you are all on the same page moving forward. Be respectful of their needs. Not every employee is the same. Each person has their own different skills and qualities to bring to the table. In order to achieve the results you want, you must get to know the people you work with. Understand what drives them and what makes them feel appreciated. Just the act of listening to your team can go a long way in developing your skills as a leader. Letting your team know that they are valued can inspire your team to give the best effort they can. If your employees are feeling burnt out, maybe plan a team lunch or bring in coffee and donuts one morning. You can even give your employees a mental health day. A mental health day is a great way for your team to destress and relax, so they can come back with a fresh attitude and new motivation to do their best. Embrace the modern working culture. The classic, 9-to-5, corporate mentality is slowly adapting to the needs of millennials. Work should no longer be that dreaded place you have to go to every morning. 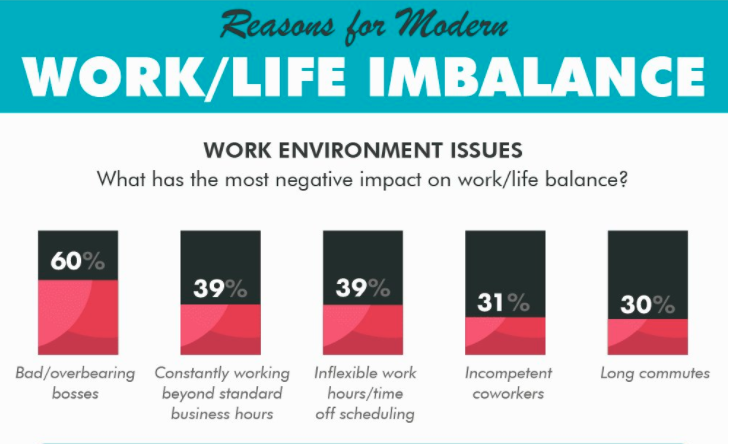 Instead, companies around the nation have been adopting flexible working environments, so their employees have a better work-life balance. Playing music, having 15-minute breaks, and even letting employees choose their own hours can be great steps toward a more balanced life. Give rewards for hard work. Nothing inspires motivation more than the promise of a reward. Sometimes employees deserve a little more than a “good job” to feel appreciated and motivated. If your employees don’t get proper acknowledgment for their hard work, progress can come to a halt and the company dynamic can be thrown off. Plus, receiving a reward in exchange for hard work will motivate your team to achieve higher results. When your team feels rewarded for their accomplishments, they will have an incentive that will not only improve company morale, but it will improve your business. Collaboration is key to strengthening any team. Through consistent team collaboration, your team will have space to brainstorm freely, offer solutions to problems, and discuss any potential new business. Try setting aside some time each week or every other week for your team to come together and bounce ideas off each other. This not only promotes a healthy work environment where creativity is encouraged, but it is also a time where your team will be motivated by each other to bring their A-game. At the end of the day, it comes down to you and your team. You must all work together as a unit to grow your business into an unstoppable machine. With that in mind, it’s important that each member of your team is fully equipped with the resources and training they need. Making sure your employees can handle whatever is thrown their way can save you time and money in the long run. Taking the time to teach your staff will guarantee efficient work and higher production standards. Think about it this way. When employees have poor training and few resources, they are much more likely to leave the company. According to a survey of 500 HR professionals, the average cost of filling one position is $11,000. Based on these numbers, it’s way more economical to invest in your team members’ education. And not only does it cost less to train your current team members, but they will also make it possible for you to retain and grow your customer base. Do you have any other inspiring ways to motivate your team? Tell us about them in the comments! Rebecca is on the marketing team at SAGE. When she's not playing with horses at her parents' farm, she's exploring the art and music scenes around Dallas. Absolutely correct! I think promotional products are the best and inexpensive way to promote a business. By using such products a business can easily grab the significant results of marketing and achieve its goal with ease.